San Francisco-based BANDmade Books recently collaborated with the band CAKE to create Bound Away, a handmade book based on a track from CAKE’s most recent album, Showroom of Compassion. The song tells the story of vocations that regularly take people away from home. 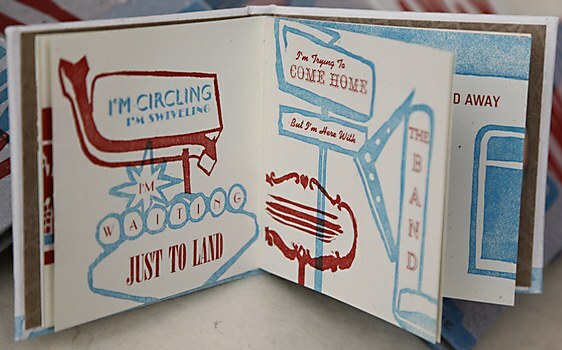 Comprised of 24 illustrated pages, the book was hand printed using linoleum blocks (hand-carved by the band members and volunteers) on paper made with the band (using their old clothes) and bound with handspun hemp, waxed with beeswax (from the creative director’s hive). 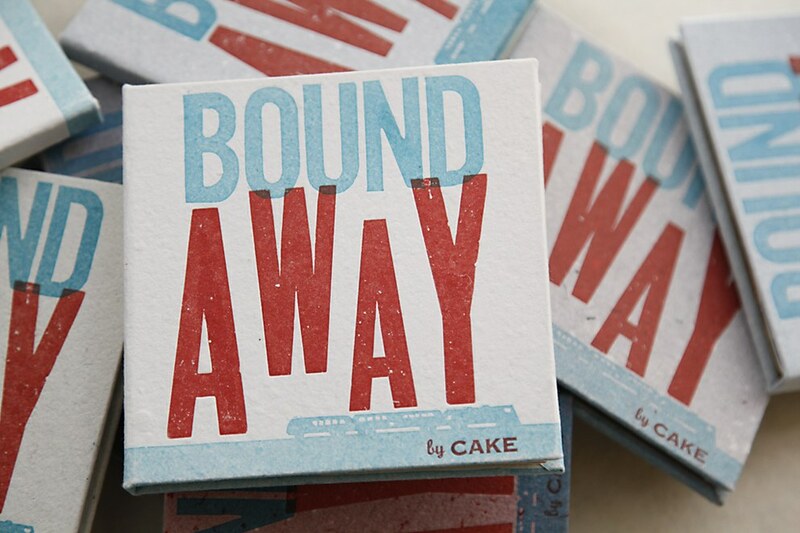 The 5 1/4 x 5 1/4 hardcover book includes a CD single of “Bound Away” and will be sold through CAKE’s Web site in an edition of 1,000 copies signed by all members of the band. 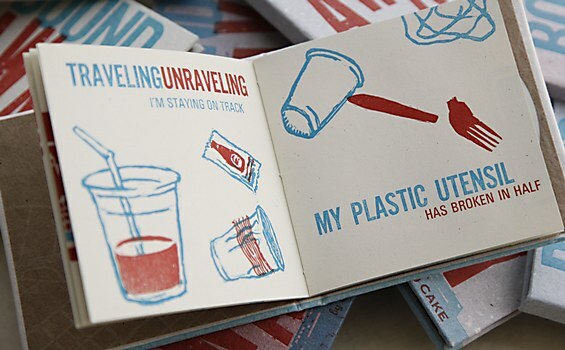 All of the book’s profits will go to two charities, 826 Valencia and The Hamilton Type Museum. Explaining it all is this making-of video. 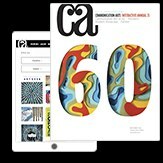 Esparza Advertising’s PSA dramatizes the cyclical nature by showing a scene stuck on repeat. 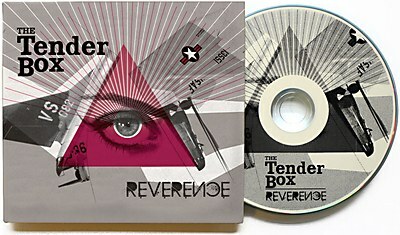 Binary & The Brain designed and illustrated the band’s EP to reflect its sound. 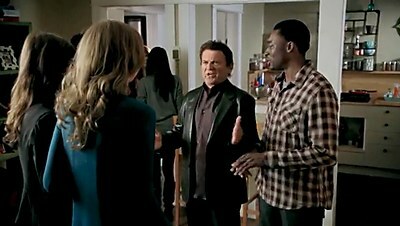 BBDO New York’s new addition to Snickers’s campaign stars Joe Pesci and Don Rickles.